The Big Falcon Rocket will be built in California, Los Angeles. During his State of the City address on Monday, the mayor of Los Angeles made it official: SpaceX will build the Big Falcon Rocket (BFR) at the Port of Los Angeles. “This vehicle holds the promise of taking humanity deeper into the cosmos than ever before,” Eric Garcetti added on Twitter. SpaceX is already moving some hardware to LA to slowly begin construction. What is don’t known yet is where the boosters will be tested, but some speculate that it could happen in Texas. 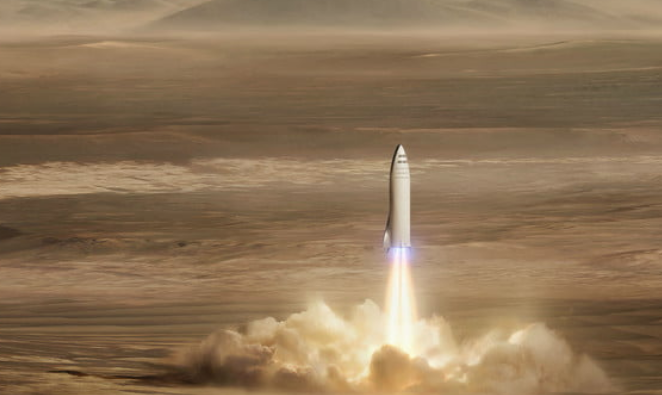 he aerospace community has had a mixed reaction to SpaceX’s ambitious plans to build the BFR as a means for colonizing Mars. NASA has ignored the BFR in all of its planning for human exploration and the launch of deep space missions, such as a lander to Europa, preferring to focus on its own heavy-lift booster, the Space Launch System. Other industry officials have scoffed at the audacity of a private company launching humans to another world. And yet, company founder Elon Musk heard such dismissals before when he sought to develop the Falcon 1, Falcon 9, and Falcon Heavy rockets. All subsequently flew. These moves toward manufacturing the BFR alongside bullish comments by Shotwell—who tends to be more sober than Musk in her predictions about future operations—suggest the company is undaunted by the criticism. Be the first to comment on "SpaceX BFR will be built in Los Angeles"